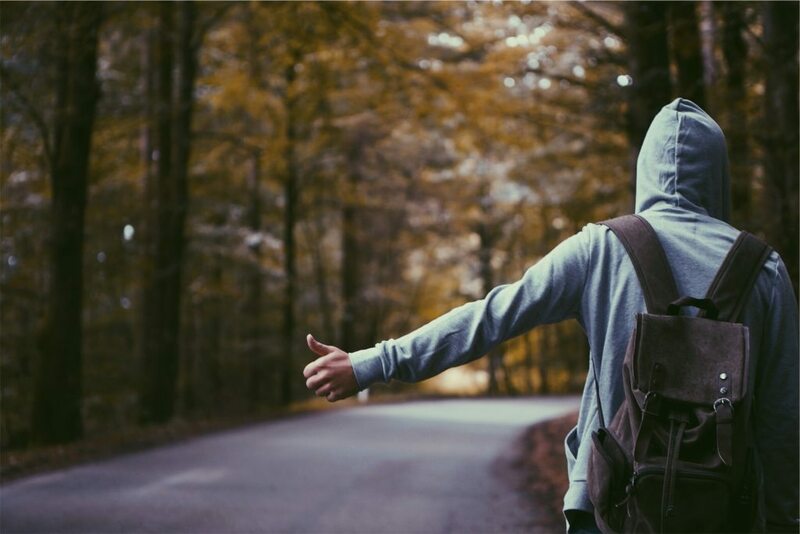 After Wacken Festival in Germany (near Itzehoe) I needed to get back home to Copenhagen and for various reasons I decided to hitchhike – approximately 450km’s. The first part of the trip was easy as I was at the festival with a friend and he took me as far as Schleswig (100km’s). This also gave me a welcomed chance for a decent meal and a shower. Between the time it took to pack the camp, drive to Schleswig and get ready to continue my journey it was already 5pm. Originally the plan was to sleep at my friends’ place and leave early next day to have a full array of daylight. However, from a mix of wanting to push my limits to wanting to get home earlier, I left the same day. 17:00 – I was dropped off at the highway on-ramp towards Denmark. After about 10 minutes I got picked up by some guys who could take me to Flensbourg – 30km’s north. It wasn’t a long ride but I reasoned that it would take me closer to the border and at the same time provide a roof over my head as it started raining and I had no shelter at my current position. Looking back, it wasn’t a good call as they took me all the way to the center of Flensbourg – about 15minutes from the highway. 18:00 – I asked an old couple to take me back out the highway and they did. Unfortunately, it was at an on-ramp coming from a cars-only road. This meant that there was no place for me to stand and even the on-ramp didn’t have much place to stop. I’m also fairly confident it was illegal. As it was once again raining and I had realised that I had forgotten my rain jacket at my friend’s house, I agreed. This meant that after a couple of hours I was only about 30km’s closer and I was stranded in an inconvenient place with little traffic away from the highway. Fortunately (! ), he made me a very generous offer of coming back for me one hour later and if I were still around he would take me to the nearest rest stop on the Danish side of the border to help me on my way. 20:20 – No one was able to take me – they were either locals or vacationing families with full cars. Naturally, I was at a low point as this wasn’t exactly what I had hoped for. However, my friend from before, Michael, heroically returned to save the day for me. 20:50 – He dropped me off at not the first, not the second but the third rest stop in Denmark for the sole reason that the first two were too small with not enough traffic. If you look at the map at the top of this post, you’ll see it’s quite a way up into Denmark. This guy was a true hero. 20:51 – Approximately one minute later I got another ride from a Polish guy going north towards Aalborg. Although not the right direction I figured he could take me another 50km. In retrospect, this was a mistake. 21:30 – As we were nearing the place where the highways split (he needed to go north, I wanted to go east) he had to drop me off. Unfortunately, there was only a small rest stop before the intersection. This meant that although I was closer to home, I was now in a position with much less traffic. 21:35 – I got a ride from a German couple and their baby. They also needed to go north but they could see from their GPS that there was actually a gas station closer to the intersection before the highways split and there I would be able to get more rides, so I accepted. Again, looking back this was also a bad call and although it was closer and a gas station, it was a gas station a little bit away from the highway with very little highway traffic. 21:45 – It was getting dark and cold and traffic was dying. I tried different things, I walked to the highway onramp, I asked everyone at the gas station and I even got a ride to a nearby truck terminal to ask if anyone was going my way by any chance. They weren’t – they were all going south although, for the record, as much of a longshot as I thought it would be, I could have probably have gotten a ride if I was going that direction. 23:15 – I had been standing at the on ramp for about an hour and a few cars had stopped but they were going very short distances as well as the wrong way – so no luck. About to give up, I checked the train schedules which were horrible for getting home. My last resort was to go back to the gas station and ask if I could sleep in the back room somewhere until the next morning and then try again. As it turns out, it was a car filled with hitchhikers coming directly from a festival in Amsterdam for street performers, entertainers, jugglers etc. as well as their tools of the trade. I managed to squeeze in and off we went. If you ever needed proof for the existence of Karma – this would be it. Right there in my hour of need, these friends magically appeared. They were only there because they had to drop off a friend off at this very spot. 02:15 – Following a pleasant and very interesting talk in the car I arrived at my front door safe and sound. After a very long day, following a long festival, I made it home. At times, this trip was rough but I made it in the end and the good times massively outweighed the bad times. 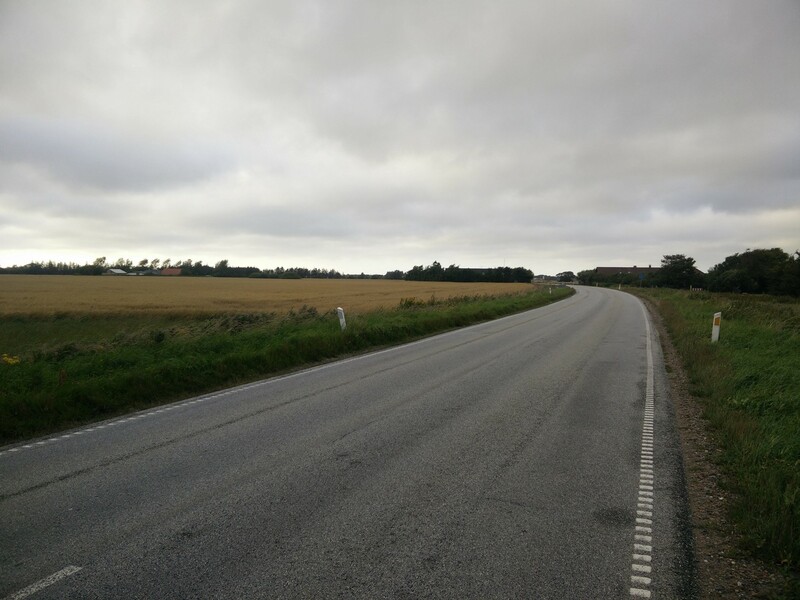 Update: one week later I hitchhiked from Copenhagen to North Jutland in about 8 hours – much faster. Especially considering that 1hour 30 was from the ferry ride across and another 1hour 30 was waiting for the ferry at the terminal. Also, looking back, a very important lesson here is that getting closer to your goal is not an advantage if it takes you away from traffic. I should not have taken that ride from Schleswig to Flensbourg city center and I should not have taken either of those rides that took me first from the main gas station to the smaller rest stop and then again to the small gas station away from the highway. I got picked up by a Polish guy going north after just 1 minute and if I had just been patient and waited for that one car that went all the way to Copenhagen or at least Odense (a long stretch towards the right direction), I’m sure it would have gone a lot smoother. Det kræver gode nerver at “blaffe”. Din konklusion er forkert.Der er ingen regler for hvad er bedst i situationerne . Som du siger:Tilfældet råder, heldet er der eller ikke.Alt må ses “i bagspejlet” og er så allerede forbi! Spændende at læse om din blaffertur hjem fra Itzehoe. I det hele taget er det prisværdigt, at du gør dig den umage at skrive ned de genvordigheder, held og gode oplevelser du har haft på turen. Det er oplevelser andre kan have glæde af.